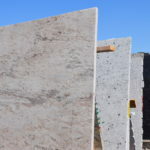 Stone selection for a home or business can make significant differences in the light, flow and overall ambiance of a room or building. This can be one of the most important decisions that a business or home owner can make. How easy will my new countertop be to maintain? How stain resistant do I need my surfaces to be? Is the look the most important part of the design, or is functionality of the utmost importance? Can my space handle the use of a few different contrasting surfaces and will they ultimately work well together? Do I want a surface that will change and show some character as it ages, or one that, with the proper care, will look virtually the same 10 years from now? 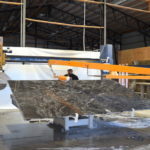 The elegance and value of marble continues to make it a popular choice for countertops, walls, floors and other surfaces. 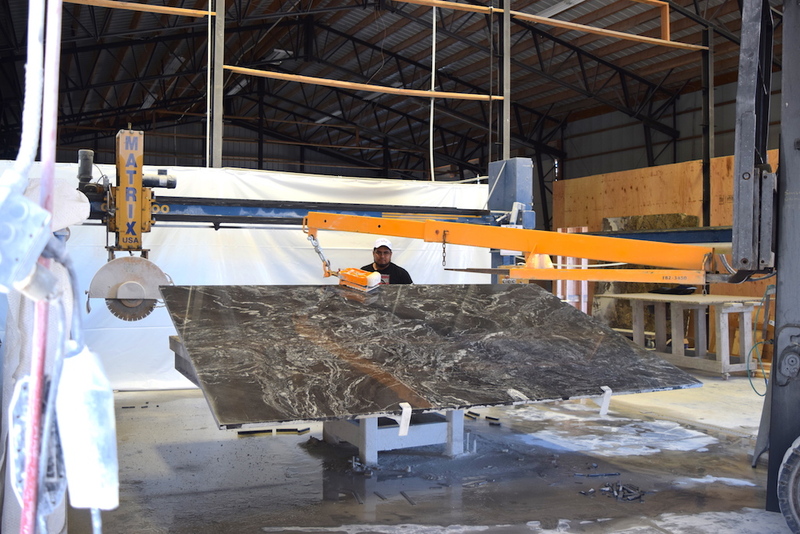 If you are seeking a traditional and classic stone countertop or stone backsplash, marble can be a superior choice. 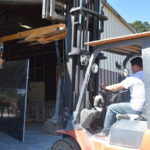 Marble is porous so it will require more maintenance, but it is very resistant to breaks, cracks and heat. The porous nature of marble and the composition being of a calcium material do make it susceptible to acids and staining. Like a piece of copper, over time a patina will be a part of the look. If taken care of resealing won’t be a frequent necessity. The need to reseal is apparent when liquids no longer bead up on the surface of the marble. 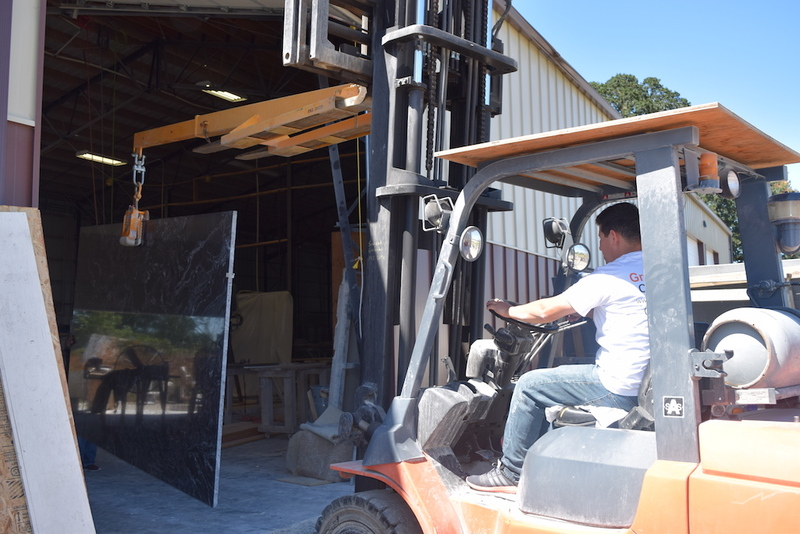 We carry the best products in our industry for sealing marble whether it is for flooring, walls in a shower or countertops. 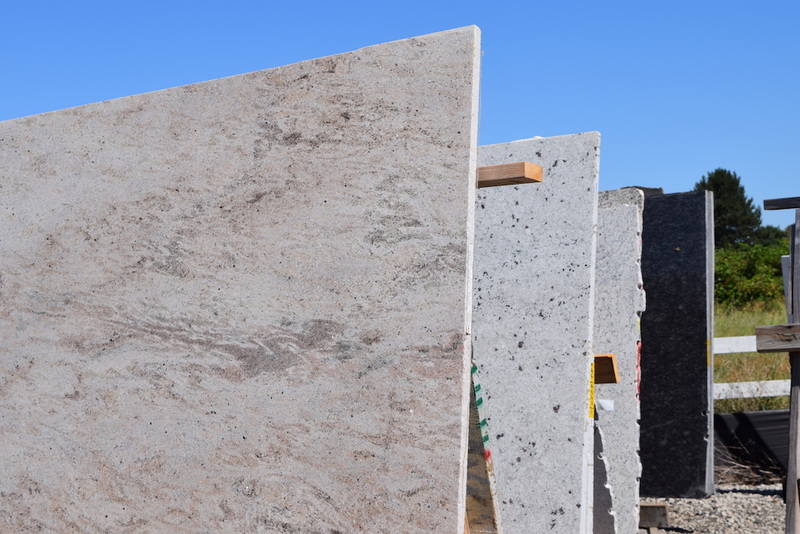 Granite is a popular, durable and gorgeous material that is both tough and versatile. It can add a sleek look to your space and add to your home’s overall value. It is very low maintenance and stain-resistant. 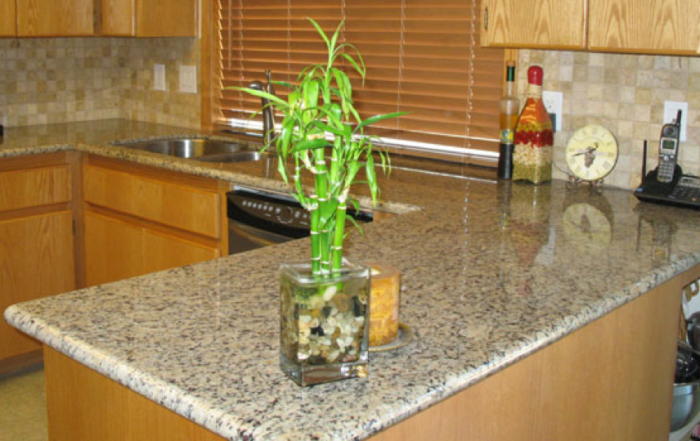 Granite is a perfect choice when the unique look of a specific piece of stone will enhance a space. Silestone is an exceptional product that has over two decades of providing the best in countertops for durability and color choices. With a similar cost to granite, Silestone is exceptional countertop material. When a uniform look throughout a space is sought, where granite might not be the best option, Silestone is perfect. Also, when a project is renovated, updated or expanded on in the future, Silestone allows for matching existing surfaces in a way that natural stone might not. Created with a combination of pigments, resins and natural quartz power or aggregate, Caesarstone can be made for just about any space. Limitations that are present with products such as marble are not present with this product. 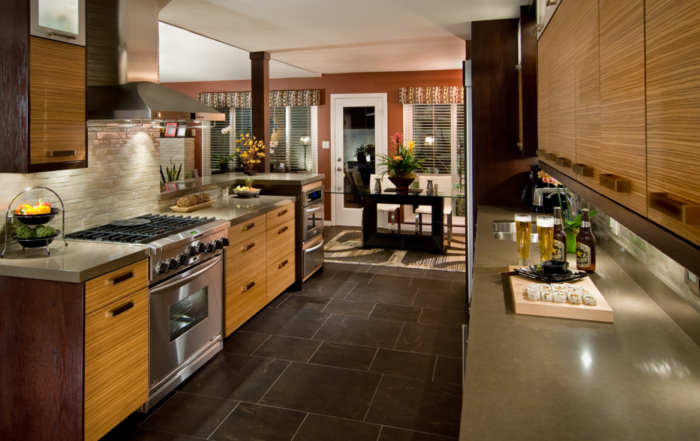 Heat resistant to around 400 degrees, Caesarstone is an excellent choice for a busy home kitchen. Similar to Caesarstone and Silestone, PentalQuartz is also composed of a similar composition of products. The superior durability of this, and similar products, make it an obvious choice for families and rooms where resistance to damage is important. Like Caesarstone and Silestone, the warranties are much the same with at least a five-year coverage included when registered and installed by a certified distributor.